Music Mountain is the home of the oldest continuing summer chamber music festival in this country. Founded in 1930 as the permanent home for the Gordon String Quartet, one of the leading string quartets of its time, Music Mountain is celebrating its 81st anniversary season in 2010. Each season Music Mountaine offers a Chamber Music Series of 16 concerts, mainly on Sunday afternoons as well as a popular Saturday evening series of Jazz and Choral concerts, and a number of special events. The 16 live concerts are produced into 16 radio programs and an additional 10 concerts from past years for a total of 26 programs. The first program this year will take place on June 13, 2010 and will be available for broadcast by July 1st. Our mission is further enhanced through these broadcasts of the Music Mountain Chamber Music concerts, made possible by the generous support of Edward R. Hamilton, Bookseller, Falls Village, CT. Starting with one station in 1937, these concerts are now heard on over 125 stations nationwide and, through the facilities of the European Broadcast Union, by listeners in over 35 other countries. A one hour excerpt from each of the 17 concerts in the 2010 Music Mountain Chamber Music Series. These are complete 57 minute programs with self-contained intros and outros. These broadcasts are underwritten by Edward R. Hamilton bookseller, Falls Village, CT. On the web at edwardrhamilton.Com or through musicmountain.org. 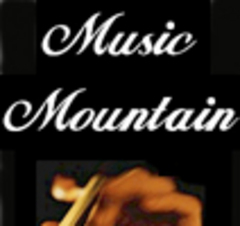 Music Mountain 2009 is a series of 26 complete chamber music concerts. The first 16 were recorded at Music Mountain's eightieth season in the summer of 2009; the last 10 are highlights from past seasons. Stations may run all 26 as a series or license the ones they wish to put into a number of available dates. These broadcasts are underwritten by Edward R. Hamilton bookseller, Falls Village, CT. On the web at edwardrhamilton.Com or through musicmountain.org. Music Mountain 2012 is a series of 16 complete chamber music concerts recorded at Music Mountain's eighty-third season in the summer of 2012. The concerts are produced into self contained programs lasting 1 hour 56 minutes. Stations may run all 16 as a series or license the ones they wish to put into a number of available dates. These broadcasts are underwritten by Edward R. Hamilton bookseller, Falls Village, CT. On the web at edwardrhamilton.Com or through musicmountain.org. A series of 16 Chamber Music Concerts recorded in Gordon Hall at Music Mountain. A series of 16 Chamber Music Concerts recorded at Music Mountain in the Summer of 2014. A series of 16 Chamber Music Concerts recorded at Music Mountain in the Summer of 2015. A series of 16 or more Chamber Music Concerts recorded at Music Mountain in the Summer of 2016. Peter Serkin; Jihyun (James) Kim, Caitlin Beare, Shannon Hagan, and Adam Romey in a Chamber Music Concert of works by Bach, Mozart, and Beethoven. The Cassatt String Quartet with Paul Katz, Cello, in a program of works by Borodin, Shostakovich, and Schubert. The Amernet String Quartet in a chamber music concert of works by Schubert, Richard Strauss, and Tchaikovsky.